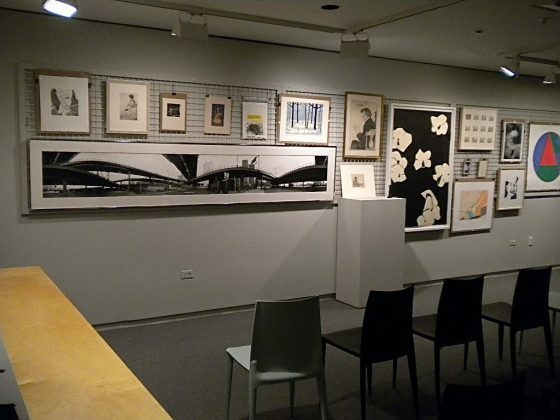 Within the academic museum of a liberal arts college, my work as Curator of Academic Programs acts as a bridge between a collection of mostly American and contemporary art and faculty across the campus. Although the departments of art history and studio art are important partners for our museum, the vast majority of our course visits come from other departments, including English, History, Biology, and Environmental Studies. Over the last several years, I’ve noticed that many STEM (Science, Technology, Engineering, and Mathematics) faculty have tailored the laboratory model of their courses to the object-centered learning that occurs in the museum by developing a methodological process that includes working in teams, generating hypotheses, defining data sets, and reporting findings. A number of authors, including David Sousa and Tom Pilecki, have described the benefits of arts integration in publications and lectures, and supported this move from STEM to STEAM. Drawing from my contribution to a College Art Association panel on the role of art history in STEAM, two case studies from the Colby College Museum of Art offer potential models for how such collaborations might occur. A Statistics professor recently asked how he might use our museum collection to refine his students’ understanding of the differences between random and representative samples. Students appeared to be confusing the two principles and assuming that random samples of a given data set were necessarily representative. Using a computer program, the professor generated a random sample of twenty-five objects from the museum’s collection. We installed these objects in our Teaching Gallery and he asked the students to consider whether they were a random or representative sample of the collection. ‘Random sample’ installation, Landay Teaching Gallery, Colby College Museum of Art, 2015. Surveying the varied objects, which included sculpture, photography, watercolors, and other media, the students identified patterns and were shocked to learn that the sample was mathematically random. During the ensuing discussion, we began to talk about collection statistics, media, aesthetics, curatorial work, and connoisseurship. Although many of the students were new to the museum, their scientific and laboratory background made them astute visual observers. Treating the museum as a lab, they defined a hypothesis, and then evaluated the data to test the validity of their claim. While art history played a part in this process, it facilitated the professor’s larger learning objectives in allowing students to refine their understanding of random and representative samples. An Ecology course similarly integrated artworks into lab processes, with the professor asking her students to evaluate the validity of using landscape representations as data on species diversity in specific geographical areas. Once again, we installed our teaching gallery with a wide range of objects, mostly landscapes, and students were charged with establishing a hypothesis and then developing data sets to test their claims. As I spoke with them about artistic conventions, and compositional choices, they began to teach me about ecological fieldwork, and the ambiguity involved in defining a limited geographic area as the primary focus of study. The interaction brought their scientific methodology into the museum, but also highlighted the subjective processes at work in methods central to the sciences. Although they initially studied the artwork as sources of information and data, the process itself elucidated the humanistic aspects of their own field. The following semester, an ambitious student from this Ecology lab asked to continue this enquiry in an independent study. 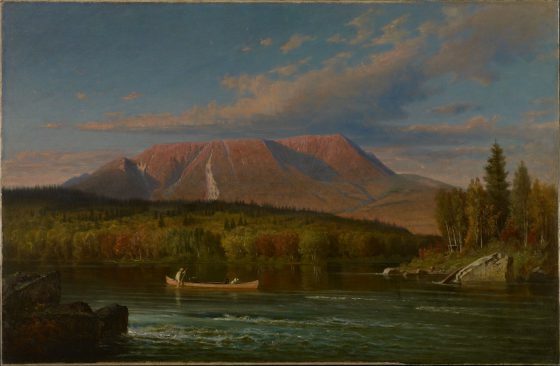 One of her central objects of study was a painting by Virgil Williams, representing Mt. Katahdin, a site in Maine that marks the northern point of the Appalachian trail. As the faculty supervisor for the independent study, the Ecology professor asked the student to ascertain the authenticity of the landscape represented in order to determine if it corresponded to actual ecological conditions. During our ongoing discussions of this work, I raised issues around composition and form, addressed realism and romanticism, and underlined the importance of nature in the American painting tradition. The student researched historical data on the species diversity in the region and attempted to map this data onto specific areas of this painting. She was able to determine that the area on the left loosely corresponded to historical ecological data, but that the birch trees on the right likely gained a strong foothold in the region after a fire in the early nineteenth century. Her extensive research shed new light on this artwork, and demonstrated the potential for arts integration to define alternative pathways in art history. If STEAM initiatives transform the way that STEM learning occurs in schools and campuses across the country, then art historians will eventually be led to reconsider the impact of scientific methodologies on their own field.